William Morrow Paperbacks, 9780062418548, 368pp. Kate Kerrigan is the author of three previous novels. She lives in Ireland with her husband and their two sons. Evangeline Holland is the founder and editor of www.EdwardianPromenade.com, the number one blog for lovers of World War I, the Gilded Age, and Belle Époque France with nearly forty thousand unique viewers a month. In addition, she blogs at www.ModernBellesofHistory.com. Her fiction includes AN IDEAL DUCHESS and its sequel, crafted in the tradition of Edith Warton. 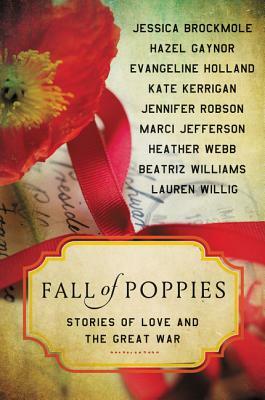 From Marci Jefferson’s moody tale of a courageous young girl seeking to avenge her family’s honor... to Hazel Gaynor’s incandescent confluence of births and deaths...and including tales by Kate Kerrigan, Beatriz Williams, and Lauren Willig, this collection offers an atmospheric homage to one of history’s most emotionally devastating episodes.